A decline in new motorcycle sales has been vexing the industry for the last several years. MartketWatch reports sales of brand-new, big-name bikes tumbled 25 percent in just the span of a year. After years of soaring motorcycle sales in the U.S., the industry began to see a shift a couple of years ago. Industry analysts at investment firm Alliance Bernstein report young millennials, those born between 1990 and 2000, are only two-thirds as likely to ride motorcycles at this stage in their lives compared to their elders. The primary reason identified is the fact that this younger generation has collectively taken on almost twice as much of a debt burden (mostly for student loans), which has eaten a sizable chunk of expendable income. Few new motorcycles cost less than $130/month, which turns out to be the difference between the debt owed average millennial graduate versus their parents. Of those who are interested in buying, they’re trending toward the cheaper models. On top of that, many of the baby boomers who were among the biggest consumers of motorcycles are aging out of them. Most find there is a market for used bikes. The CFO of Harley Davidson reported to Business Insider that on a post-earnings call, company leaders saw strong growth of sales for used Harley’s. In fact, it was more than twice the size of new motorcycle sales. Rust and corrosion are chemical reactions that result from exposed metal or steel, oxygen and water or other types of metals. Exposure to salt especially can exacerbate the rust/corrosion process. 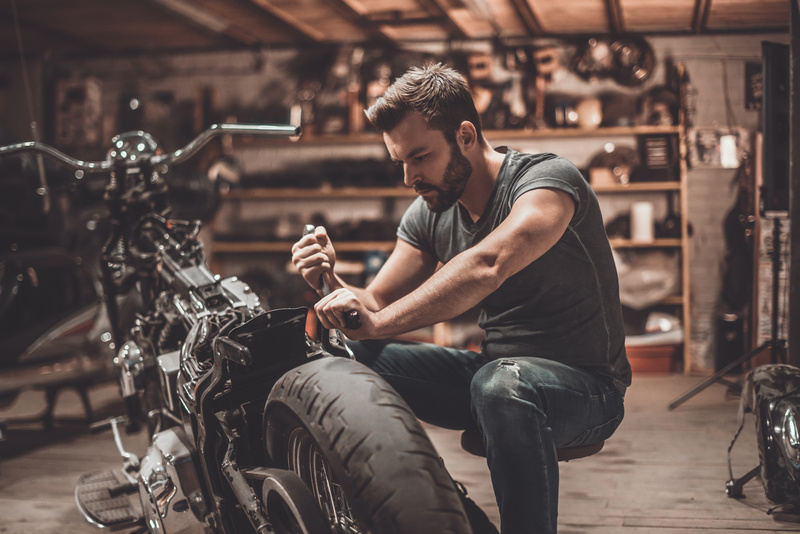 That means a used motorcycle is more likely to have rust if it’s from an area near the coasts (and thus, saltwater) or in which the previous rider frequently took the bike across salt-strewn streets in winter. That doesn’t mean used motorcycles from these areas are inevitably going to have rust, especially if the previous owner took care to prevent it with proper cleaning and storage. The most effective storage solutions for preventing motorcycle rust – brand new or used – includes a motorcycle cover with a vapor-corrosion inhibitors (VCI). Zerust motorcycle covers are designed to fully enclose your motorcycle, protecting it from rust, corrosion, dust, heat, salt, water, mold and other harsh elements. The VCI component acts by coating insulated metals with an odorless, non-toxic molecular layer of electrochemical protection. The covers can last up to five years from the first use. Contact Zerust for information on motorcycle covers and motorcycle rust prevention by emailing us or calling (330) 405-1965.